Centrifugal Fan VR-2E-315, 380VAC, 210W, 1200m3/h, ф315mm Centrifugal pipe fan VR-2E-315 with supply voltage 380VAC, rated power 210W and flow rate 1200m3/h. Centrifugal Pipe Fan VWR100, 220VAC, 60W, 350m3/h, ф100mm Centrifugal tube fan, model VWR100 with supply voltage 220 VAC, nominal power 60 W and flow rate 350 m3/h. Centrifugal Fan VR-2E-150, 220VAC, 150W, 800m3/h, ф150mm Centrifugal Fan VR-2E-150 with power 65 W, supply voltage 220 VAC and airflow 490 m3/h. Centrifugal Pipe Fan VR-2E-150, 220VAC, 150W, 800m3/h, ф150mm Centrifugal tube fan, model VR-2E-150 with supply voltage 220 VAC, nominal power 150 W and flow rate 800 m3/h. With internal rotor. 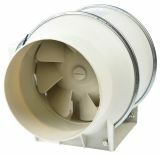 Duct fan, VF-150, 220VAC, 60W, 410m3 / h, ф150mm The duct fan is mounted in air ducts for suction or blowing purpose. 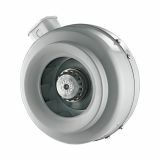 The low weight, high airflow, quiet operation and easy installation of the fan make it possible to be mounted in different rooms and in hard-to-reach areas. Centrifugal Pipe Fan VR-2E-200, 220VAC, 180W, 1050m3/h, ф200mm Centrifugal tube fan, model VR-2E-200 with supply voltage 220 VAC, nominal power 180 W and flow rate 1050m3/h. With external rotor. Duct fan, VF-200, 220VAC, 105W, 690m3/h, ф200mm The duct fan is mounted in air ducts for suction or blowing purpose. The low weight, high airflow, quiet operation and easy installation of the fan make it possible to be mounted in different rooms and in hard-to-reach areas. Centrifugal Pipe Fan VR-2E-250, 220VAC, 185W, 1150m3/h, ф250mm Centrifugal tube fan, model VR-2E-250 with supply voltage 220 VAC, nominal power 185 W and flow rate 1150 m3/h. Centrifugal Pipe Fan VR-2E-315, 220VAC, 270W, 1800m3/h, ф315mm Centrifugal tube fan, model VR-2E-315 with supply voltage 220 VAC, nominal power 270 W and flow rate 1800 m3/h. Industrial Duct Blower BDTX 200, 220VAC, 95W, 815m3/h, ф200mm Industrial Duct Fan BDTX 125 with supply voltage 220 VAC, power 95 W and airflow 815 m3/h. Industrial Duct Blower BDTX 315-B, 220VAC, 200W, 1600m3/h, ф315mm Industral Duct Fan BDTX 315B with supply voltage 220 VAC, power 200 W and airflow 1900 m3/h. Duct Blower BOK120/100, 220VAC, 18W, 150 m3/h, ф100 mm, with shutter Duct fan BOK120/100, with voltage 220 VAC and power 18 W, with shutter. Duct Blower BOK150/100, 220VAC, 46W, 240 m3/h, ф100 mm. with shutter Duct Fan BOK150/100 with supply voltage 220 VAC, power 46 W and airflow 240 m3/h. List Price 109.00лв. VAT Incl. 103.55лв. VAT Incl. 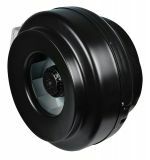 Vikiwat Ltd. is a direct importer and distributor of a wide range industrial pipe (channel) fans for 220 VAC, 50 Hz to exhaust air from indoor premises such as greenhouses, warehouses and workshops. In our store you can find a variety of power and pipe diameter on which the fans are mounted. Welcome to visit us for more information and to find our best offers!